The idea of free TV might seem too good to be true, but it’s out there. Cutting the cord seems impossible, but when you finally do it, you’ll see it is a lot easier than you think to find the TV shows you want for free or at much cheaper prices than you would have paid with your cable company. The same goes for sporting events. If you’re an NFL fan, once you cut the cord you’ll discover just how easy it is to watch your favorite team each week for free with nothing more than your trusty antenna. Whether you’re in Philly rooting for the Eagles or you are in New York or Dallas cheering on those Giants or Cowboys, having an antenna should get you the games you want to watch for free. There might be a random game that requires something more than local channels, but with a few cord cutting tips and streaming services, you should be able to watch those games for next to nothing, too. So, let’s start by looking at how and where you can watch your local teams with your antenna. TNF airs on FOX. As long as you live in an area near a FOX affiliate you shouldn’t have a problem getting these games for free. Depending on your location, you might even have access to more than one FOX channel. It will just depend on your location and the reach of your antenna. Either way, with FOX you should be able to watch your local team on Thursday night. As any sports fan knows, football is pretty much an all-day thing on Sunday. You’ll be able to find afternoon games on both CBS and FOX. Once evening strikes, Sunday Night Football is available on NBC. All of these channels should be easily accessible allowing you to watch these games for free with just an antenna. Monday Night Football has been airing on ESPN for over a decade, but the game is often simulcast on local channels which will give you access to watch your local team, if they are playing on Monday night. If you want to watch the team from your state, antenna use has you covered in most cases. You’ll even be able to watch the Super Bowl for free with just your antenna. If you don’t mind watching on your phone, the NFL mobile app is a great way to watch your local games this season for free. Just install the free app on your phone and you can watch the games free of charge. The downside, if there is one, is that you can only watch on your phone. However, as that’s not a problem for most people, this is a free chance to watch throughout the entire NFL season. 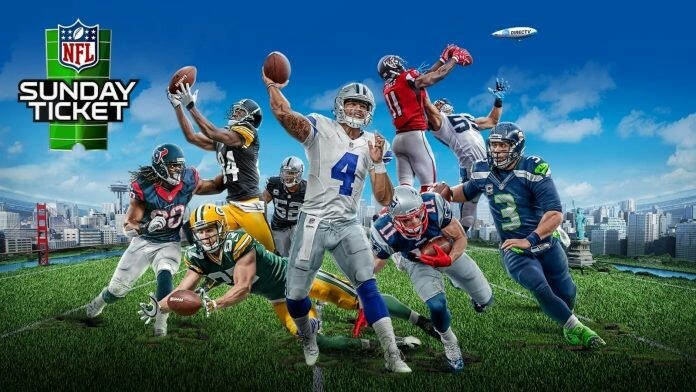 If you’re an Amazon Prime member, you’ll find that they have extended their deal with the NFL to provide Thursday Night Football to Prime members. That’s 11 games this season! The games air on FOX but will be simulcast to Amazon Prime, so you can watch on your TV through a streaming device or use your phone or tablet to watch. If you don’t have Amazon Prime, they offer a 30-day trial which is a great way to watch some of the games for free. DIRECTV NOW – Offers CBS, FOX, and NBC in many markets. Also has ESPN. DIRECTV NOW offers various specials to sign up along with a free one-week trial. Hulu Live – Has more local network coverage than anyone and they also have ESPN coverage. Hulu Live also offers a free weeklong trial. fuboTV – A great option for sports fans, this service carries local channels in many markets (though not as many as Hulu Live). On the downside there is no ESPN coverage here. You get a week trial. YouTube TV – This is a newer service, but they are only available in areas where you have the majority of the local channels included in your package. They also offer ESPN and a 7-day trial period. Sling TV – Sling TV offers some local channels though they are more limited in this area. They do offer many of the ESPN networks though. They give you 7-days free. PlayStation Vue – Like the other networks, in many cities you’ll have local access as well as ESPN. Here you can receive a 5-day trial. Most of these services allow you to use TV Everywhere apps. That means that if you’re from an area that does not receive local access, you can log in to apps like FOX Sports Go or WatchESPN to stream the game live. Using a combination of these free trials and your antenna should ensure that you don’t have to pay much, if anything, to watch the NFL this season.